Unique property right on the Alicia beach, best in Sosua. Other beaches were damaged/destroyed in 2017 by Irma and Maria Hurricanes. The complex was built in 2007. Only 15 minutes ride from Puerto Plata International Airport, Los Balcones is right on the best beach in Sosua and 5 minutes walk to the heart of Sosua. This beautiful condo features a full kitchen, queen bed, full bathroom, living room and a balcony that overlooks the gardens and pool and out to the ocean. Cable TV and Internet with WiFi. Canadian phone line with free calls to North America. The kitchen has fridge, microwave, dishwasher, blender and full stove and oven. The air conditioned living room has cable tv, internet/WiFi and french doors leading to the balcony with stunning views. Please note that renters are responsible for the electricity charges, normally it is not exceeding US$2 a day, but if you use A/C constantly it may go up 10 times. Please take the electric meter reading when you check-in. After hurricanes Irma and Maria in 2017 many properties in Sosua lost their beaches, so Los Balcones is a unique property with a direct access the excellent Alicia beach. Perfect location: right on the beach and walking distance to all amenities in town. The Condo is situated on a cliff overseeing Alicia Beach. You may just jump into the Atlantic Ocean or walk 100 meters via semi-private access to the beach. 2 air conditioners in the living room and the bedroom. Note: electricity charges are not included in the rent, normally it does not exceed US$2 a day, but if you use A/C constantly it may be higher. Spacious dining/living room with A/C and fully equiped kitchen. Cable HD LED TV, 28"
Just one step from the street level to the condo. Crystal clear ocean with soft sand. We thoroughly enjoyed our 11 days at Michaels Los Balcones condo. (C1). It was really hot when we visited so we used air conditioning on and off but most of the time we just opened up the balcony doors and windows throughout the condo and found it just fine. That's what we went down there for....the heat! There is everything you need there...you may want to stop at the Playero (grocery store) to pick up toilet paper, laundry soap and a few staples like milk and bread, butter, coffee and wine! Michael can arrange for Jesus (lovely man) to pick you up at the airport and stop at the Playero on the way to the condo. Don’t get sugar! Lots there. There is a two cup coffee maker there (6 shaken tablespoons - strong but good) and the coffee Santo Domingo Is delish. The wifi password is on the back of the router which is beside the t.v. Very, very small print so be prepared with the glasses ! The bed was very comfortable and linens and towels were all freshly laundered and ready for use. The pool is the best. We spent a lot of time on the deck in the shade and often took our wine (in plastic glasses) down there to watch the sun set. This is a very quiet location. No parties or loud guests. The beach is ....no kidding...perfect. We are beach people and this had almost everything. We rented 2 lounges and an umbrella from Toro on the beach who started at $10.00 but we settled on $7.00 for the day. We heard other people paid less and some more so whatever works for you. Remember you’re there for that beautiful crystal clear water and soft sand....not to get yourself in a knot over a chair. The sand is UNBELIEVABLY HOT so you might want to wear runners instead of sandals. No kidding. The waves were pretty high and rough a few days of our stay but then on other days there was hardly a wave. The Waterfront Restaurant that over looks Playa Alicia had the best chateaubriand for two we've ever eaten! Alicia Grill had the least expensive breakfast $7.00 total for pancakes, bacon, eggs, coffee and water. Ask them to put mango in your pancakes! Michael kindly provided a small cooler you can take to the beach with you and we left two ice packs. The town of sosua is quite busy with cars, vans, scooters, motorcycles and ....yep...”Ladies of the Night”. The restaurants and grocery store are all within walking distance but it was suggested to us not to stay out too late after the sun had gone down. We felt safe but always had our eyes open. Hope you love it! 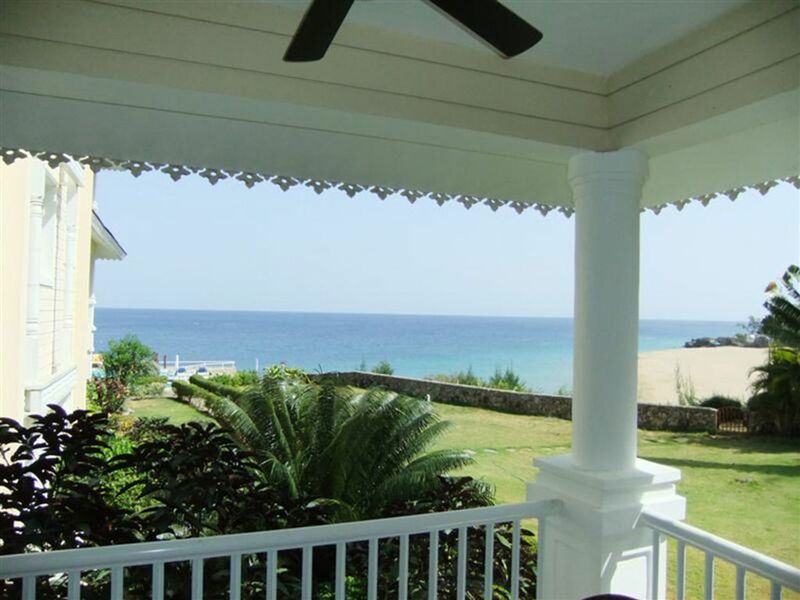 Property is well maintained, right on the beach with a beutiful view. Spacious and comfortably furnished. Only gripe is its only cleaned before you get there and after you leave. We've stayed here before and loved it again this time as much as last time. Thank you Sacha, you are welcome anytime. We hade a nice stay for 10 days. You have all you need in the apartment. The pool area was nice with the fantastic view over the playa and the sunset. Very peaceful and safe area. The shower could be better. Thank you Svante, hope to see you again sometime. Thank you Linda. Hope to see you again soon. I can't review the specific condo as the unit was double booked. But, the owner, Michael, took it upon himself to make sure we were looked after and got us booked into a larger unit within the same complex. Greatly appreciated, awesome service. The complex is nothing short of fantastic. Completely safe with a 24 hour guard just in case something comes up. The guard was very friendly and helpful. The grounds were spotless. The pool was cleaned every day. But, if we have to provide any 'bad' comments it would be that all pools and hottubs in DR are cold, regardless of the hot weather all the time?! But the cold pool was very refreshing from the hot weather. Every condo in the complex has a view of the ocean. From the pool, you are overlooking the ocean and the beach which is a very short walk away. Spectacular views of the waves crashing the cliffs and beach. It is a very short walk of about 5 minutes to all the local restaurants and or grocery store. Also about a 5 minute walk to Sosua Beach. Downtown Sosua is crazy. Many many locals trying to please the tourist; selling fruit, moto conche rides (jump on the back of a motorcycle to go wherever you need), restaurant deals etc etc etc. And then of course there is the 'pick up' scene in downtown Sosua where it appears that you can get whatever else you might need. Lol. When we were out walking, we compared this property to others. I would suggest that there are none, in this price range, that compare. Specifically, stay away from Casa Maria all inclusive resort. There are thousands of guests here with limited resources to serve them and management there just don't understand how to treat the customer. Staff try but management cut out their legs every time. Overall, this property is awesome. When we come back to Sosua, we will book here again.